China and Austria have great potential to further strengthen bilateral trade and investment ties, given that Austria's unique geographic and political roles in the European market and China's massive market and capital could complement each other well, according to two Chinese experts and a top Austrian official. During the official visit of Austrian President Alexander Van der Bellen to Beijing, which started Sunday, the two sides signed a slew of business deals and vowed to further expand cooperation in trade and investment, as well as elevate diplomatic relations. Even as some Western officials, including those in Europe, have grown concerned about Chinese investment overseas, Austrian officials are clear that their country welcomes more investment from Chinese firms. 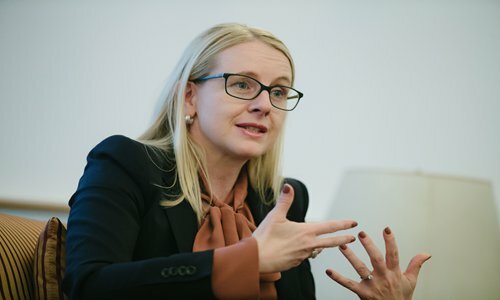 "We want to at least double or triple the number of Chinese investments in Austria," Margarete Schramböck, Austria's federal minister for digital and economic affairs, told the Global Times in an interview on Tuesday, adding that there is a lot of room for growth in investment. "Chinese investments in Austria are still at the beginning. We can do more," she said. Eyeing the massive Chinese consumer market, Austrian officials are also looking to expand exports to China - already Austria's largest export market in Asia and its second largest globally. 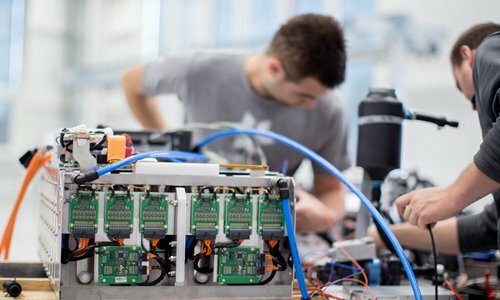 "Austria is a very small and open economy; we have 9 million inhabitants. We are very much focused on exports. In Austria, six out of every 10 euros is generated from exports," Schramböck said. During the official visit, Chinese and Austrian companies signed 30 business agreements covering a wide range of sectors, including technological innovation, e-commerce, environmental protection and railways, according to the official. Schramböck also welcomed major announcements made by Chinese President Xi Jinping on Tuesday that would further open the Chinese market. "We heard the president wants to open China more. Of course, we are very positive about it," she said. In a keynote address at the opening ceremony of the annual Boao Forum for Asia, in South China's Hainan Province, Xi announced that China would ease restrictions on foreign investments in industries such as the automotive sector, as well as reduce tariffs and increase imports. Chinese experts also said there is great potential for cooperation between China and Austria, with the latter being able to serve as an important bridge for Chinese companies in Europe, particularly in Central and Eastern Europe. "As a WTO member, Austria's reach and ability to cover markets in Central, Eastern and Southern Europe are unmatched," Liu Jianying, an associate research fellow with the Chinese Academy of International Trade and Economic Cooperation, told the Global Times on Wednesday. Austria also offers a robust services trade system, he noted. Austria is also a member of the EU - it will assume the rotating presidency in July - and holds observer status in the 16+1 cooperation, a grouping of China and 16 Central and Eastern European countries. Such roles offer great opportunity for cooperation between China and Austria, according to Li Gang, an associate research fellow at Institute of European Studies under the Chinese Academy of Social Sciences. "The EU has been considering passing legislation to intensify scrutiny of foreign investment, mainly aimed at China. Austria's current attitude toward Chinese investment could be positive for China with regard to legislation," Li told the Global Times on Wednesday. Li also noted that bigger European countries such as Germany and France have expressed concerns over the 16+1 cooperation, but Austria, as an observer, has seen the positive results, and could assist with the group. He added that the eagerness of Austria's newly elected government to seek economic gains also heralds great opportunities for China-Austria cooperation. In the interview on Tuesday, Schramböck said that EU regulations on foreign acquisitions were not aimed specifically at China, and that Austria would try to improve China-EU relations. "It has nothing to do with China. It has something to do with our general rules and regulations for acquisitions. And there is no difference between African investment, Asian investment and US investment," she said. "In that role [as EU's rotating president], we will be very wise about how to improve the relationship between China and Europe." She said that Austria and the EU are looking for "common investments, where we play a role and China plays a role."